George Dunlap vs The Charlotte Observer | New Growth Hair Magazine | We capture the culture of urban barbershops and beauty salons. 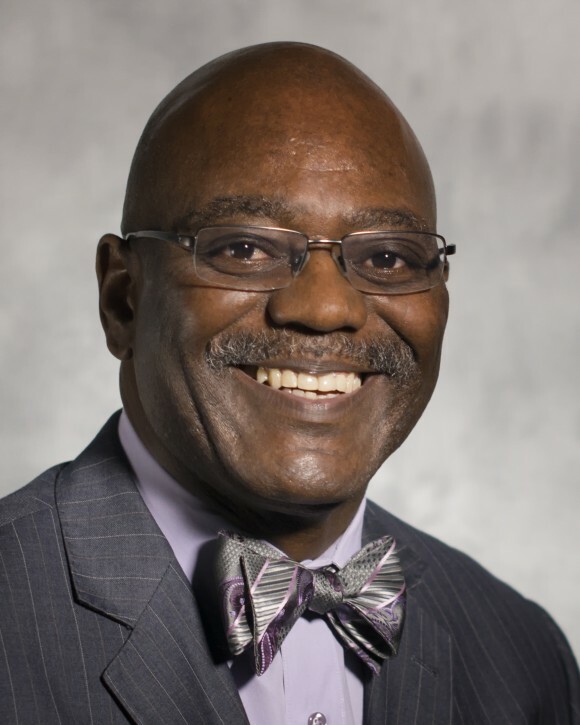 George Dunlap is a Mecklenburg County native, a retired Charlotte Mecklenburg Police Officer, a former Mecklenburg County School Board Member, and a District 3 Representative on the Mecklenburg County Commission who holds undergraduate and graduate degrees from UNC-Charlotte. Dunlap is an active member of St. Paul’s Baptist church and serves on St. Paul’s board of trustees. Recently, Dunlap has been engaged in a heated battle of words with The ‘Charlotte Disturber’, the nickname that Dunlap uses to refer to The Charlotte Observer. Dunlap made headlines for calling a fellow County Commissioner “a snitch on the board who can’t be trusted” on his personal Facebook page, and has since been in a battle of words with The Charlotte Observer and its editors. Dunlap says that The ‘Charlotte Disturber’ contributes to negative race relations by feeding into negative stereotypes of African-Americans, failing to provide positive news coverage of African-Americans, and failing to provide accurate news to the general public. Additionally, Dunlap said during last year’s election, “The Charlotte Observer had a media blackout on the African-American females who were elected to the positions of Judge, Clerk of Superior Court, and County Commission.” Below is my interview with County Commissioner George Dunlap about his beef with The Charlotte Observer. Phillips: Recently, you’ve been in an intense battle of words with The Charlotte Observer. Please tell our readers about your beef with The Charlotte Observer and its editors? Dunlap: I take offense to the fact that the Charlotte Observer uses its newspaper to characterize people of color, particularly African-American men, in such a negative light. Let me give you an example of what I mean regarding my previous statement. If two people are expressing concerns about an issue and one person is an African-American who happens to be passionate about the issue, The Charlotte Observer uses words and/or images to make us appear angry and upset. On the other hand, if the person is not an African-American who is also passionate about an issue, then The Charlotte Observer refers to the person as simply upset. I don’t think that these practices are an accident, based on the evidence, which is in their newspapers. It’s an intentional mischaracterization that feeds into the stereotype of the “Angry Black Male” and “Angry Black Female.” Last year, it was the intent of The Charlotte Observer to paint me as “The Angry Black Man” in the heavily politicized situation with Pat Cotham. The Charlotte Observer was so involved with the Pat Cotham issue because they had a vested interested in the outcome of Pat Cotham’s quest for re-election as County Commission Chairperson. Phillips: You voted for County Commissioner Trevor Fuller to serve as Chairperson. Did you choose not to support County Commissioner Pat Cotham for Chairperson because of her race or gender? Dunlap: Two years ago, after Pat Cotham won her election, I made the nomination and advocated for her to become Chairperson. During the one year of Pat Cotham’s leadership, the board was in disarray: she discounted the opinions of her colleagues, and she excluded most of the African-Americans from leadership positions of various committees. Additionally, she provided confidential information to The Charlotte Observer before her fellow County Commissioners were provided the same confidential information. My experience with Pat Cotham’s leadership abilities was the reason that I chose not to select her to serve as Chairperson. My decision had absolutely nothing to do with her race or her gender. My decision was solely based on her leadership ability. Dunlap: In your opinion, does The Charlotte Observer provide fair and balanced news coverage for African-American political candidates and elected officials? Dunlap: Absolutely not. I’ll give you a good example to answer that question. Recently, documents were released about Governor Pat McCory which indicated that he profited from serving on boards and the connection between those boards and Governor McCory’s campaign contributions. After the news story was published in The Charlotte Observer, Governor McCory received several opportunities to communicate why he thought The Charlotte Observer unfairly reported on his business dealings. Historically, when a negative story is printed in The Charlotte Observer, the only opportunity for rebuttal is in The Charlotte Observer’s editorial section, but The Observer’s editor selects which editorial is published. On several occasions, I’ve submitted editorial content to The Charlotte Observer but I’ve never had the opportunity to have my rebuttal printed or posted online to counter The Observer’s negative news stories or editorial content about me. The Charlotte Observer is a multi-million dollar business and they use their power to determine what information is provided and isn’t provided to the public. Recently, The Charlotte Observer has come to the realization that they are not the only way to get news to the general public. Mark Twain said “You shouldn’t pick a fight with someone who buys their ink by the barrel.” But Mark Twain didn’t live to see Social Media. I chose to use Social Media and other means to get my message out about the injustices perpetrated by The Charlotte Observer. In the last election, The Charlotte Observer provided virtually no news coverage of the three African-American women who were elected as District Court Judges (Judge Carla Archie, Judge Yolanda Troutman, and Judge Alicia Brooks), the first African-American woman to become Clerk of Superior Court (Elisa Chinn-Gary), and the re-election of Ella Scarborough to public office. According to The Charlotte Observer, none of these women were best qualified to serve as elected officials because The Charlotte Observer didn’t endorse any of these African-American women who are now duly elected officials. In short, The Charlotte Observer was saying that none of these women were equipped, prepared, qualified, and ready to serve in public office. After all of these African-American women won their elections, The Charlotte Observer didn’t provide them with post-election news coverage. Does this sound like fair and balanced news coverage?